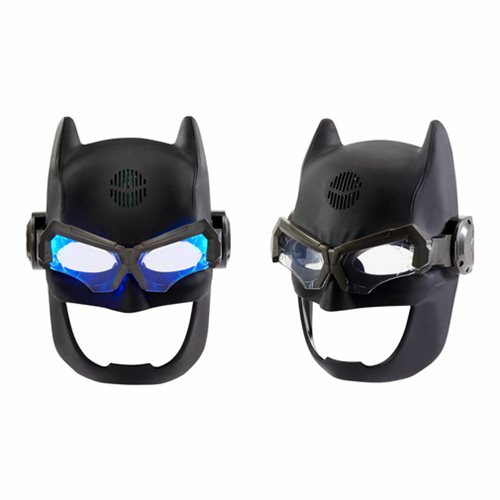 Become Batman with this Justice League Batman Deluxe Lights and Sound Helmet. Strike fear in the hearts of criminals as you don the mask of the Dark Knight, which is inspired by the design from the movie Justice League! Great for fun roleplay or for those looking to assemble impressive costumes. Requires 3x "AAA" batteries to operate (included).